The Delaware Valley, or the Philadelphia metro area, is famous for its history, as well as its difficult commuting conditions. 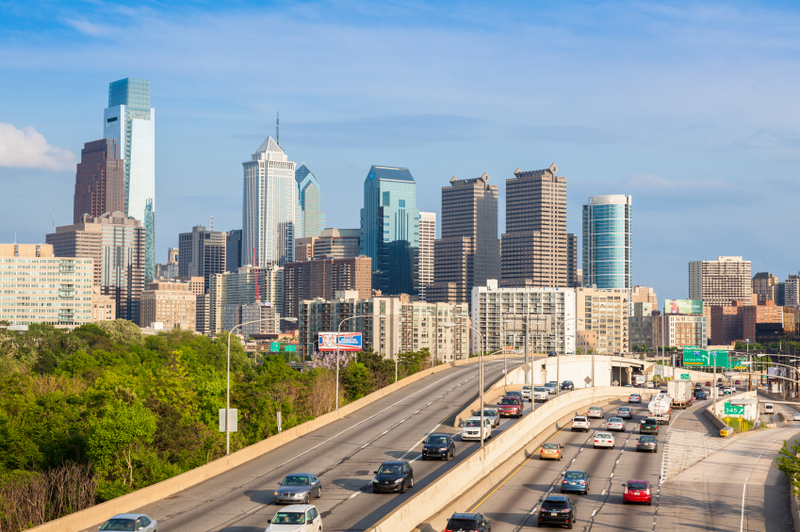 A NerdWallet study recently found that Philadelphia is one of the worst cities for car drivers and for commuters as well. Philly drivers face 48 hours of annual traffic delays, 15 hours more than the national average. In addition, car owners pay a hefty sum for car insurance and gas. NerdWallet examined 52 places in the Delaware Valley, which encompasses Philadelphia and areas in Pennsylvania, New Jersey, Delaware and Maryland. We found that Middletown, Delaware, and Montgomeryville, Pennsylvania, are the two worst places for commuters. We crunched the numbers and ranked the worst commutes by analyzing commuting environment, car expenses and time. Car costs, in the form of insurance and gas, can leave a big hole in a commuter’s wallet, but depending on location, some workers pay much more than others. For example, drivers in Wilmington, Delaware, pay the most at $2,4812 a year. On the other hand, residents living in Pottstown, Pennsylvania, pay an average of $915 a year. Gas prices also fluctuate from place to place. Drivers in Montgomeryville, Pennsylvania, pay the most for gas at $3.70 a gallon. In contrast, Pitman, New Jersey, drivers spend the least to fill up at $3.17 a gallon. Traffic and lengthy commutes can be difficult to avoid, but comparing car insurance premiums can help you save money. Prices for the same coverage can vary significantly from carrier to carrier. Discounts can also be different — here’s who offers the most discounts. Your car will have a dramatic impact on the cost of your annual insurance. Premiums for the most popular car models can range in price by a few hundred dollars. Talk to your insurance agent to find out which cars are the least expensive to insure. Delaware Valley drivers who live in Delaware pay the most for insurance, with an average of $2,294 a year. On the other hand, Delaware Valley residents in Pennsylvania pay $1,050, or $1,244 less. Commuters in the area can pay up to 53 cents more for a gallon of gas depending on where they buy it. In addition, depending on location, workers could be spending 74.8% more time getting to work. Many Delaware Valley workers face lengthy commutes and high costs, but some drivers have it easier than others. NerdWallet found that West Chester, Pennsylvania, was the best place for commuters in the area. West Chester residents pay $963 a year for car insurance, $137 less than the national average of $1,100. The average commute of 20.2 minutes for West Chester workers is the shortest out of all the places we examined. The U.S. Census Bureau found that the population in West Chester increased 22.9% because of commuting, so people who live and work in West Chester may not have to travel far. Also, drivers in Chester, Pennsylvania, enjoy better commutes than others in the Delaware Valley. For residents here, their average commute time is 23.2 minutes, and 17.2% of the population uses public transportation — which is over three times more than the rest of the nation. 1. How expensive is gas? We looked at average gas prices in each ZIP code for 10% of the score. 2. How much does auto insurance cost? Insurance is costly and premiums can vary depending on where you live. We found average insurance costs by ZIP code for 10% of the score. 3. How long are workers’ commutes? We looked at how long it takes residents to make a one-way trip to work for 50% of the score. 4. How many workers are commuting by car? We looked at the percentage of workers who get to work by car. Higher percentages of commuters driving to work by car mean more traffic congestion and longer commutes. This is 10% of our score. 5. Is public transit available? We looked at the percentage of workers who commute on public transportation. Higher percentages suggest more availability of public transit. This is 20% of the score. Average car insurance rates are from NerdWallet’s car insurance comparison tool. 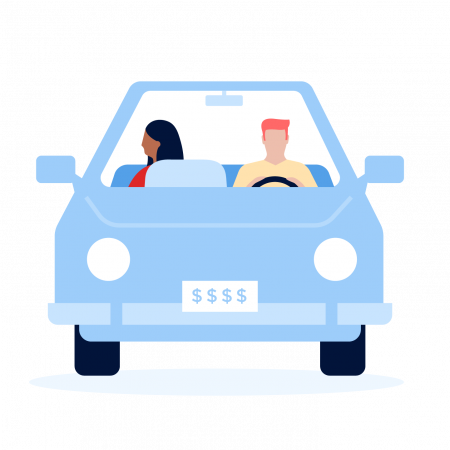 To determine the average insurance premium increases, we retrieved quotes for eight different driver profiles: 27-year-old single men and women and 40-year-old married men and women each driving a Toyota Camry and a Ford Escape. For each driver profile, we used every city’s three cheapest car insurance quotes to mimic consumer behavior and to determine our overall average. Average gas price from January to November 2014 is from Gas Buddy data. Mean travel time to work is from the U.S. Census Bureau’s 2013 American Community Survey. Percentage of workers commuting by car is from the 2013 American Community Survey. Percentage of workers using public transportation is from the 2013 American Community Survey. Philadelphia, Pennsylvania, skyline image via iStock.